Welcome to May's Pick 3 Party! Prepare to be inspired by the line up of great ideas to get you through this crazy, busy month. Be sure to visit the other blogs at the bottom of this post for more great ideas for May! It's hard to believe this is the last month of school for many of us! May is such a bittersweet month for me, especially this year, because I have such an amazing group of kids to work with every day. They will be greatly missed! This sugar hand scrub sounds amazing for Mother's Day gifts. My students always make my lemon sugar hand scrub, but this one uses Dawn Oil of Olay dishwashing soap and sugar. I have used the dishsoap before, and it smells heavenly. Small jars of this sugar scrub would make a great Mother's Day gift! The Wordles above would make an adorable end of the year gift! The Dollar Store has plain frames that would work nicely too. I like how the students write adjectives that describe each student and those are the words you chose to make the wordles. So cute! 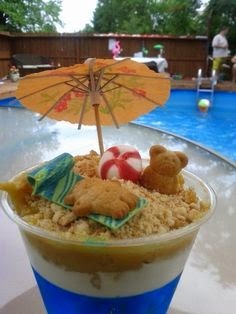 I've seen this adorable summer treat floating around Pinterest for awhile. It would be fun to have a tropical kickoff party for summer on the last day of school, and have the students make their own beach cups. My kids will flip! Now it's your turn! We would love for you to link up and share your top three Pinterest Pins for May! This linky is hosted on the third of each month- so come join in on the fun! Wow, your last pin is really making me want to go to the beach! I need to start my "Almost Summer!" mantra. Thanks for sharing these wonderful ideas ! I'm finding lots of good ideas in these Pick Three posts! I love the snack idea! Perfect alternative to cupcakes for our end of the year birthday parties! 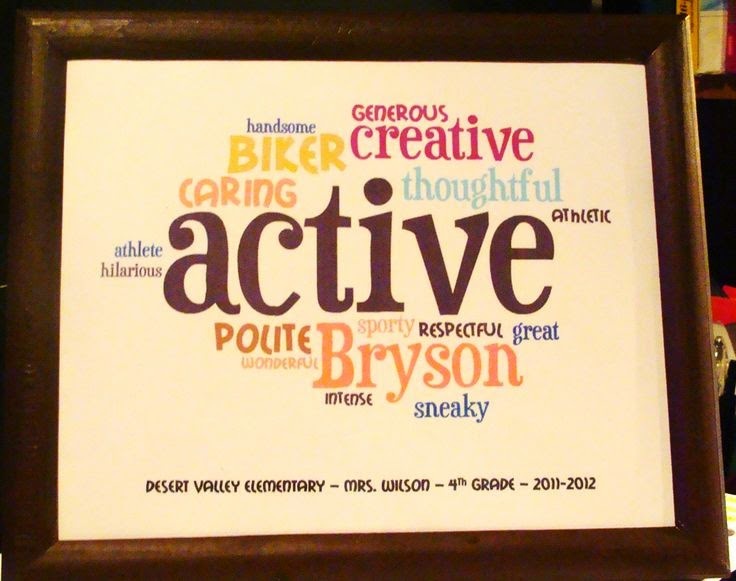 I really like the wordle end of year gifts! :) Thanks for hosting! Great ideas... I love the wordles one. I definitely need to try that! What a cute pool party snack for summer!